World's First Flying Car Goes On Sale Next Month - Joe.My.God. 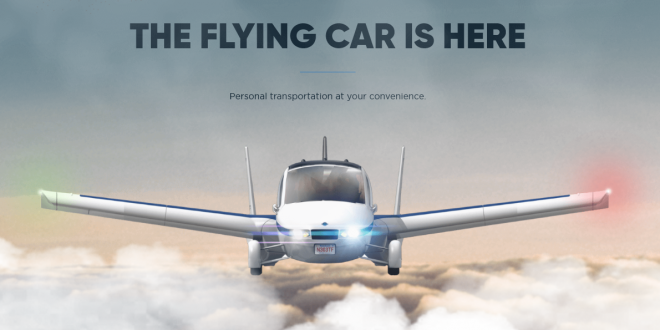 The world’s first flying car will be available to pre-order next month. A Chinese company called Terrafugia is preparing to unleash a vehicle called the Transition which can turn from an automobile into an aircraft in just a minute. The most striking aspect of the Transition is its folding wings, which extend to allow flight and can be retracted when driving on roads. It is fitted with a parachute system as well as a ‘boost’ mode to give a ‘brief burst of extra power while flying’. The Chinese news agency Xinhua said pre-sales will begin in October. Terrafugia previously said the Transition would cost $279,000, although Terrafugia reportedly revised the cost upwards to somewhere between $300k and $400k. It was certified as a Light Sport Aircraft by the Federal Aviation Administration in 2016. The vehicle also meets National Highway and Traffic Safety Administration standards but consumers will need a pilot’s license to operate the Transition. The company believes Transition could be a useful vehicle for pilots to land at small airports and drive straight home. The aircraft has fold-out wings, weighing roughly 1,300 pounds, and has fixed landing gear. It can fly to a maximum altitude of 10,000 feet.